Why is a SUNDOG a DOG? Also called a mock sun or a phantom sun, is an atmospheric phenomenon that creates bright spots of light in the sky, often on a luminous ring or halo on either side of the sun. But why is it a “DOG”? 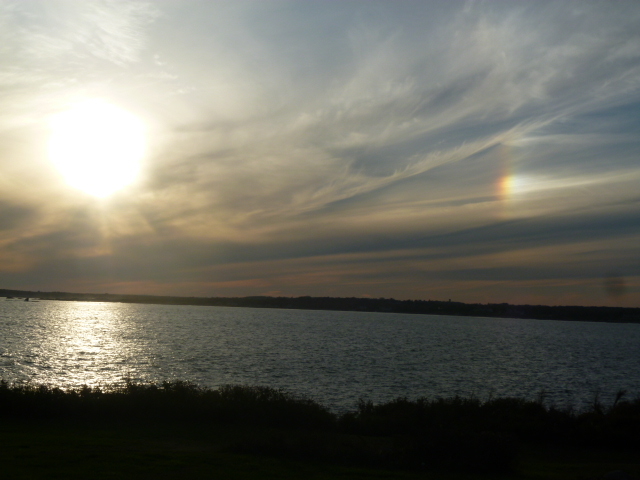 This entry was posted in Life and tagged atmospheric, mock sun, phantom sun, sun, sun dog, sundog. Bookmark the permalink.